Great for toddlers and younger children. 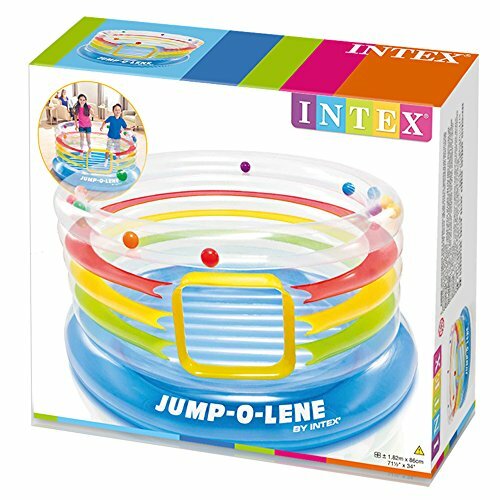 This little bouncer from Intex won’t break the bank and will keep your little ones entertained for hours. 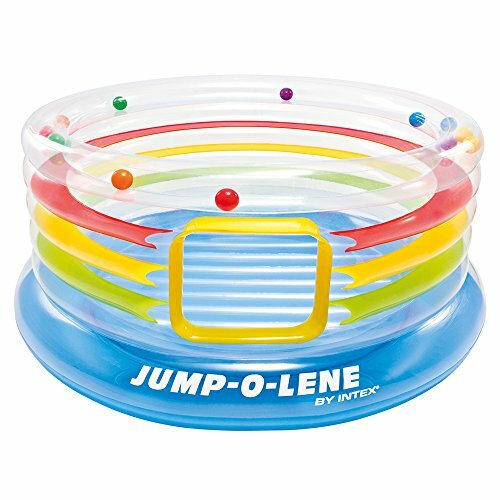 The top ring contains 12 colourful balls and encourages development and exercise in toddlers. 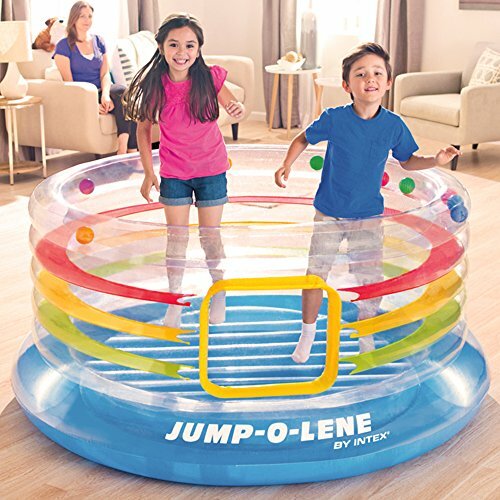 Suitable for children aged 2 to 6 years old, with a maximum weight limit of 54kg (120lbs) and can provide entertainment for 2 children simultaneously. The handy transparent sides lets you keep an eye on your little ones as they play. 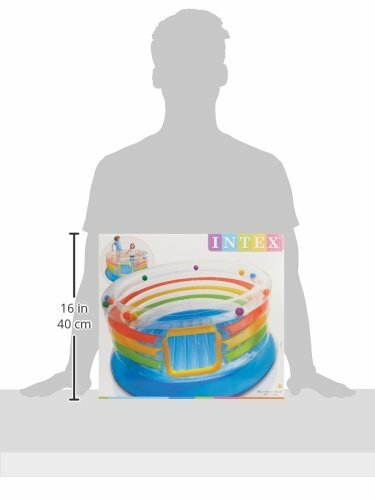 This bouncer does not come with an inflator or anchor points, so we recommend it is used indoors only. It can be used outdoors and is water-tight, but this may reduce the lifespan of the unit. Some users have complained that the durability of this bouncer is sub-par. With 13 reviews out of 78 complaining of a puncture or deflation within the first few weeks of usage, although Intex is quite good at replacing or crediting the purchase should a failure occur within the first month. Recommended for children aged 2 to 6! If you’re looking to keep your kids busy for longer, then why not buy some play balls as well? Unfortunately this bouncer is not supplied with an inflator of any kind. If you don’t have a pump to hand, then we suggest purchasing the Intex Quick Fill Electric Pump.